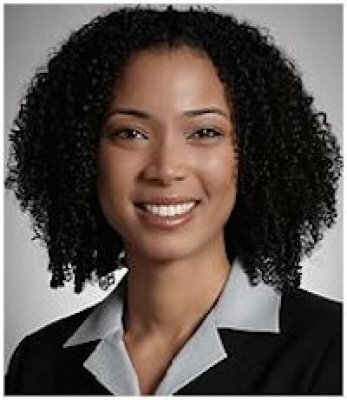 Professor Alina Ball is the founding director of the Social Enterprise & Economic Empowerment Clinic at UC Hastings College of the Law. 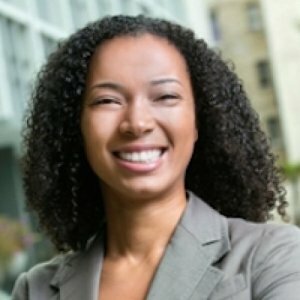 This in-house corporate law clinic is a unique blend of transactional lawyering while critically examining issues of economic and social justice. Her scholarship focuses on the intersections of corporate law, community lawyering, clinical pedagogy, and critical race theory. She was recognized as a 2015-16 Bellow Scholar for her corporate representation and collaborations to increase access to safe drinking water in rural communities. 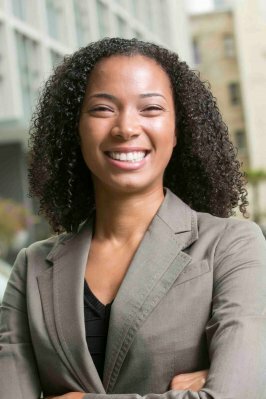 Prior to joining the faculty at UC Hastings, she was a Clinical Teaching Fellow with the Harrison Institute for Housing and Community Development at Georgetown University Law Center, representing low-income residents in affordable housing, real estate transactions. Before her career in academia, Professor Ball was a corporate associate at Morrison & Foerster LLP, in San Francisco and Washington, DC, where her practice focused on representing private and public companies in debt, venture capital, private equity, and M&A transactions. She received her LLM from Georgetown University Law Center, J.D. from UCLA School of Law, with a specialization in Critical Race Studies, and B.A. degree from Wellesley College, majoring in Mathematics and Spanish, with a concentration in Latin American Studies. She is actively engaged in community work and is honored to serve on the board of directors for several nonprofits, including Public Advocates. Conference on Clinical Legal Education Washington, D.C. Examining the Roots of Human Trafficking and Exploitation UCLA School of Law, Los Angeles, CA. The discourse of business law clinics, which extensively emphasizes their value in practical skills training, can obscure the intellectual contributions of business law clinicians within the legal academy. As the number of business law clinics across the country increases, clinical education literature must incorporate a deeper understanding of the distinct learning ecology business law clinics offer. This Article provides a conceptual framework of how business law clinics can counter the cultures of conformity and complacency within traditional legal education. The Article elevates this discourse by examining the disruptive pedagogy business law clinicians engage in when they integrate critical legal theory into their courses. Finally, the Article posits that by exposing future corporate lawyers to critical legal theory, through the vehicle of strategic client selection, business law clinics prepare students to be generative lawyers who are more creative in their lawyering and more apt to lead in the ever-changing landscape of corporate law. The social enterprise movement has ushered in a promising new wave of companies using market-based strategies to advance social and environmental change. The longevity and growth of social enterprises will be determined by their ability to balance the complex and often competing interests within these unique business entities. The established corporate governance regime, which predominately addresses the characteristics of public companies, does not provide adequate oversight for promoting good corporate governance within the social enterprise sector. This Article argues that the benefit reporting requirements in hybrid-corporation statutes offer an innovative mechanism for encouraging and maintaining good social enterprise governance. Using the benefit reporting requirements within hybrid-corporation statutes as a model, this Article provides a normative framework and establishes the implementation principles for social enterprise governance across various legal entities. By counseling social enterprises on how to promote participatory democracy and increase the company’s capacity to detect and address problems, corporate lawyers serve a critical function in developing social enterprise governance. Using an approach guided by corporate lawyers and informed by social enterprise practitioners would build on the traditional corporate governance paradigm to develop narrowly tailored mechanisms that facilitate a more resilient social enterprise sector. Students in the Social Enterprise & Economic Empowerment Clinic serve as outside counsel for social enterprises, nonprofit organizations and small businesses on corporate and transactional matters. Students advise their clients on a variety of corporate governance, compliance, transactional, and operational matters. Through their client work, students gain experience as business attorneys and develop transactional lawyering skills such as strategic planning, project management, client interviewing and counseling, legal research and analysis, contract drafting, and cross-cultural competencies. Students work closely with their clients to understand their organizational model, industry, and social impact goals to then provide counsel customized to the client’s particular corporate needs. Students are encouraged to grapple with and develop their own perspectives about how lawyers can best participate in the growing social enterprise sector and how transactional law can advance issues of economic and social justice. This course offers an innovative lens to critically explore issues of business taxation by examining entities and transactions in the social enterprise sector. Social enterprises blur the traditional distinctions between for-profit and nonprofit entities by blending social mission and market-based, business strategies. The tax treatment of these hybrid entities is complex and an increasingly contested area of law. Students in the course apply their knowledge of business taxation and test their assumptions on taxing social enterprises through client-based assignments. The course is a Qualifying Tax and Tax-Related Elective towards the Tax Concentration and satisfies the Professional Skills requirement.